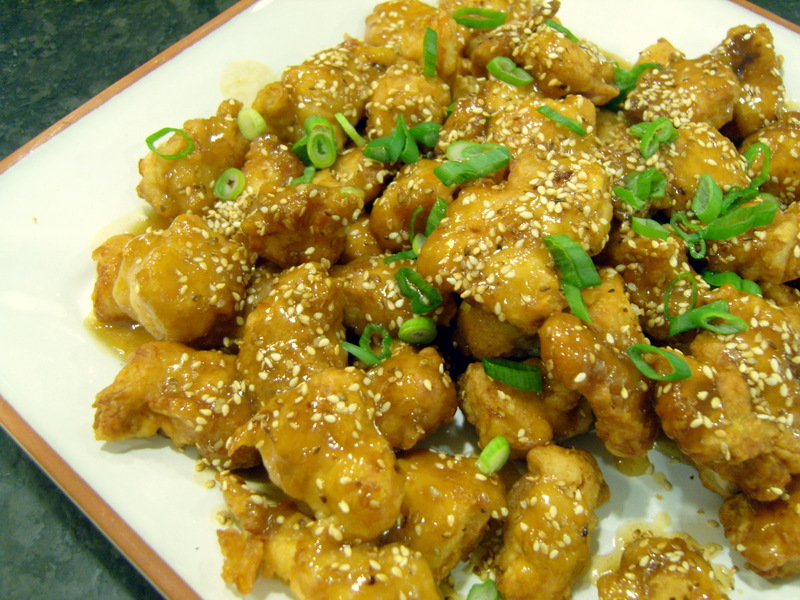 Hereafter known as Clean Your Plate Chicken, this sesame chicken recipe from Tyler Florence was a big hit at our house. I can’t comment on its authenticity, but it should satisfy all your Chinese takeout cravings. It’s not a 30-minute meal, but it’s not that difficult, either. I made a few minor adjustments to the recipe. First, I reduced the sugar in the sauce to 1/3 cup (my kids don’t like super sweet sauces on their meat). I only added 1/2 teaspoon of chili sauce (I used Sriracha) to keep the heat down, and I skipped the extra salt at the end. Finally, instead of filling my Dutch oven half full of oil, I fried the chicken in a mere inch of oil, flipping the pieces over when they were brown and crispy on the first side. Fry in small batches, and keep an eye on it. My chicken did not take six minutes per batch, but closer to three or four. One last hint if you haven’t made sauces thickened with cornstarch before: you’ll need to bring the sauce to a boil before it loses its milky color and begins to thicken. The recipe as written doesn’t make this clear. The recipe makes a generous amount of sauce, so you’ll have plenty for rice alongside. I chose to drizzle only about a third of the sauce on the chicken before serving, and put the rest in a pitcher for people to add at the table. 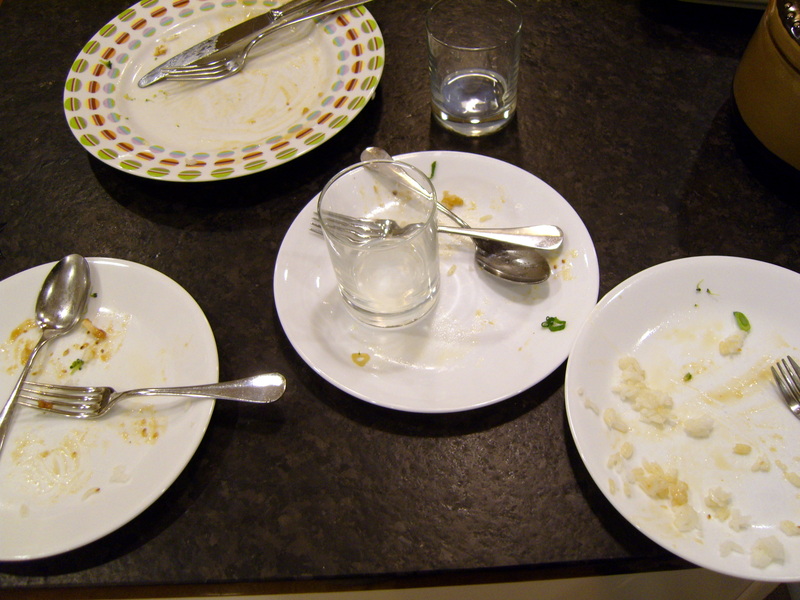 We had jasmine rice and garlicky broccoli as sides. It was the most pleasant meal we’ve had all week, without complaining from one side of the table or coaxing from the other. Totally worth the extra effort!